Throughout the month of November, I hosted a birthday fundraiser in service of the CounterPulse Fellowship for Arts Workers. I want to extend deepest gratitude for all who contributed. Your efforts will support two bright and aspiring young professionals, Maya Nixon and Samantha Kuykendall, through the first full expression of the program–a paid learn-work opportunity, emphasizing deep mentorship along with social capital and network-building elements. The fellowship supports entrance for first generation college students/recent grads or participants in Tenderloin workforce development programs, into the professional field of arts work. In 2016, Emiko Ono, Program Director for Performing Arts at the William and Flora Hewlett Foundation, wrote, “Rapid demographic change has created unprecedented diversity in California, but this diversity is not yet represented in the executive and board leadership of the nonprofit arts sector (Ono, 2016*).” While diversification of leadership in the sector is the big dream, before arts organizations can address barriers to reaching the upper echelons of the field, we must first examine and address the nuances of those preventing entry. 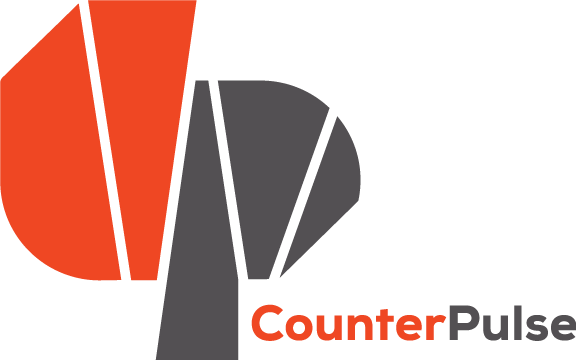 The CounterPulse Fellowship for Arts Workers troubles two key factors influencing the field’s exclusionary roots–privileged access to opportunity-dreaming and unpaid entry-level labor. The program works to ignite a career trajectory for the fellows, then through rigorous and committed support, steward upward mobility in the field. The access oriented strategies driving this fellowship generate and encourage opportunities for partnership with our peer organizations as we all navigate paths towards the common priority of a more equitable arts ecosystem. These strategies are a call to action, seeking your support. 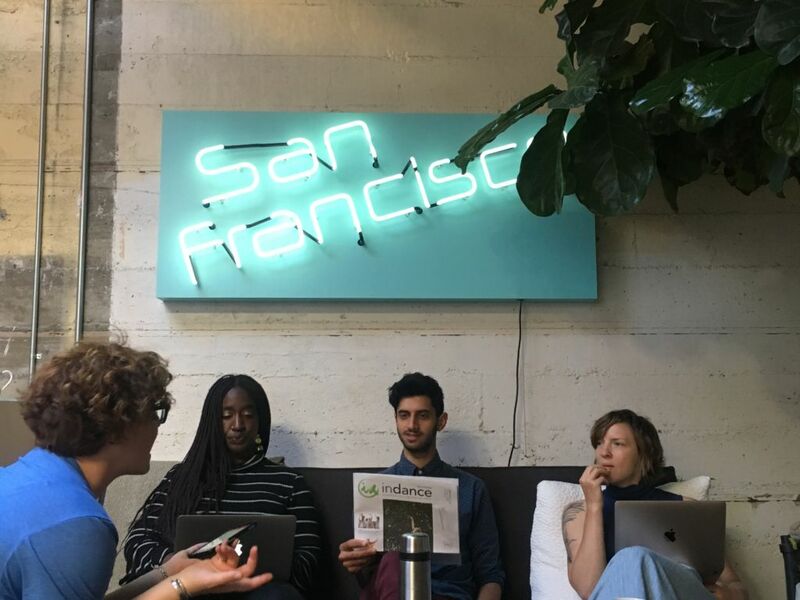 Collectively, we can move the needle towards organizational compositions that echo the mosaic of cultural backgrounds and socioeconomic realities in the Bay Area. One important strategy involved in forging access is igniting the imagination. Whether considering access in terms of job entry or literally crossing the threshold from the sidewalk into the CounterPulse doors—a person’s ability to make that move depends on whether they can envision themself in that space. Art historian, Cher Knight Kraus describes that while art institutions are “objectively available to all,” (Pay What You Can admission policies, and Equal Opportunity Employment initiatives), she explains that they “…remain the territory of the initiated; those with education, social status and or wealth.” (Kraus, 2008*). A core objective of CounterPulse’s Fellowship for Arts Workers is to carve space for dreaming about occupying professional arts roles for those traditionally excluded from the social spaces that fuel such ideas. The first step toward connecting potential fellows with new mental images for future work involves focused invitations to apply. Months before the applications to the fellowship opened, CounterPulse staff began outreach for the program delivering information sessions to local community colleges and universities’ Educational Opportunity Programs, Divisions of Equity and Inclusion, and departments oriented around art and social activism. Our team, that is intergenerational, from a range of ethnic, socioeconomic backgrounds, and sexual orientations, (in part the result of a democratic organizational hiring practice), connected with students affiliated with these programs, inviting them to apply. The diverse staff composition is an asset when the goal is to inspire communities across difference to recognize traces of themselves in our team. CounterPulse staff also extended outreach to neighboring organizations focused on delivering social services in the Tenderloin, privileging organizations with expertise in employment services, or an emphasis in healing through the arts. Tiffany Jackson, Hospitality House’s Employment Program Manager, and Krista DeNio, manager of Larkin Street Youth Art program and Youth Advisory Board, were both instrumental in successful engagement and submission of applications. The invisible labor our partners invested by helping fellowship applicants craft cover letters and resumes, as well as navigate tools for working with digital documents (tools and skills that many of us take for granted), set the stage for successful engagement. By intervening early on, the support mitigated potential deterrents that would prevent interested parties from applying. Once Fellows are selected, they engage in a number of social capital-building activities to broaden their professional networks, but more importantly, to increase their opportunities to occupy professional and social art spaces. Staff members accompany fellows to other organizations’ fundraisers, opening night parties, performances and lectures (funded in-kind by peer organizations). The fellows are also each hosted by a member of the CounterPulse board of directors for one-on-one lunches during the course of their nine month term. These aspects of the program nurture connectivity between fellows and professionals in the field while simultaneously offering insight into a range of roles spanning the landscape of arts work. The intention is for these introductions to seed ambitions, and potentially even professional referrals. The second most salient barrier to entry into the arts, is money. Current studies published in popular culture media reveal that most young professionals entering into cultural production for work receive significant financial support from family (Quioctrung, 2017; Roller, 2018*). Further, the majority of students that accept unpaid internships in the United States are from families earning more than $80,000 a year (Gardner, 2012*). The information exposes a barrier in the pipeline to arts work for anyone who does not have access to subsidizing income. Yet, if you scan the horizon for entry level opportunities in arts organizations in the Bay Area, unpaid internships and fellowships are the standard. With equity on the tips of every arts organization’s tongue, why is unpaid entry level work a continuing trend in our field? Despite CounterPulse’s budgetary restrictions, when I brought the fellowship idea to our Artistic and Executive Director, Julie Phelps, she agreed to prioritize the program and strategize around the risks of executing the first cycle before fundraising efforts began. This response by organizational leadership demonstrates equity in action. Phelps was just tapped to absorb the dual role of Executive and Artistic Director by CounterPulse board of directors. She could have easily played it safe, denied my request; but at her core, she’s invested in equity. And guess what? We raised the money through generous contributions from our grassroots community to support the fellows’ wages for the next 9 months! This is only a start and it’s not going to be enough to sustain the program. The money raised is enough to pay the fellows’ part time wages for this year. Ideally, in the future the program will boast a more robust budget in support of full time fellow wages for 9 months, a percentage of CounterPulse staff time, the ability to kick down cash to community partners, and sustain a portion of the program’s operating expenses—liability insurance, utilities, public assembly certificate, the printer contract. It’s expensive to run an arts organization and to pay people what they deserve. But we’re invested. We need community buy-in and I’m not just talking about grassroots support; this is a call to action for peer organizations to champion programs such as the CounterPulse Fellowship for Arts Workers. If arts organizations are invested in Equity, and Change-Making, I’d like to invite you to support this program, or at least consider some of the touchpoints around access described here when envisioning your own versions. *Cher K. Knight, Public Art: Theory, Practice and Populism (Malden, MA: Blackwell Publishing, 2008). *Gardner, P.D., Chao, G.T., and Hearst, J. 2012. Ready for Prime Time? How Internships and Co-ops Affect Decisions on Full-time Job Offers. Collegiate Employment Research Institute and Monster Research Brief. Michigan State University: East Lansing.